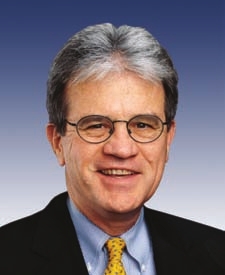 U.S. Sen. Tom Coburn’s latest political stunt will hurt unemployed Oklahomans and Americans. The GOP move is nothing more than political theater that could have serious and damaging repercussions for American and Oklahoma families facing hardship during the country’s worst financial crisis since the Great Depression. The American people and the rest of the world understand that our debt and deficits are as much of an emergency as our unemployment rate. The American people also understand the best unemployment benefit is a job. An economy with as much debt as our simply can’t create jobs at the rate we need them. Members of Congress who choose to ignore this reality will, soon enough, be replaced with people who understand this reality and choose to live and govern within it. In other words, lose your home and starve because we have some political posturing we need to do before the November elections. Note the “replaced with people” language. This isn’t about fiscal responsibility. This is campaign rhetoric for the Republican Party. Coburn has also tried to argue Democrats are responsible for holding up the bill, but that’s disingenuous at best. The cruel truth is the GOP is making a calculated political move at the expense of people without jobs. It may play well with certain groups of employed Americans, especially the anti-Obama faction, but it’s still the wrong thing to do. Lately, Coburn has been throwing the word “immoral” around when he talks about the federal deficit, but what about hurting people who want to work but can’t find jobs. Why isn’t that a moral issue for Coburn?